Hey y'all! So, it's the beginning of a new month and that means some new blocks for the Bella Skill Builder! This month's blocks feature Orange Peels - which is something I have never attempted before! So, since I've never tussled with these blocks, I decided to test out two different methods. Why not, right? The first set I did utilizing the larger of the Orange Peel templates. 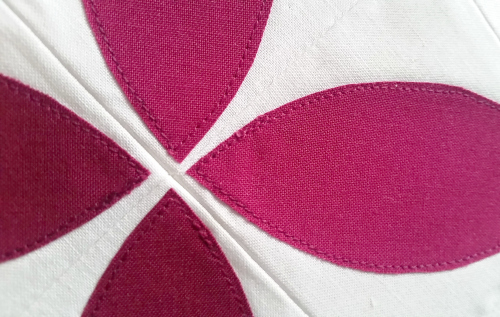 For these ones, I decided to use the fusible interfacing method outlined in this tutorial. While I liked the turned under edges you get with this method, I found that I had a hard time getting nice sharp points. It was also a bit more time consuming because there are more steps involved. This method also gives a slightly puffier look because the fabric itself isn't fused to the background. 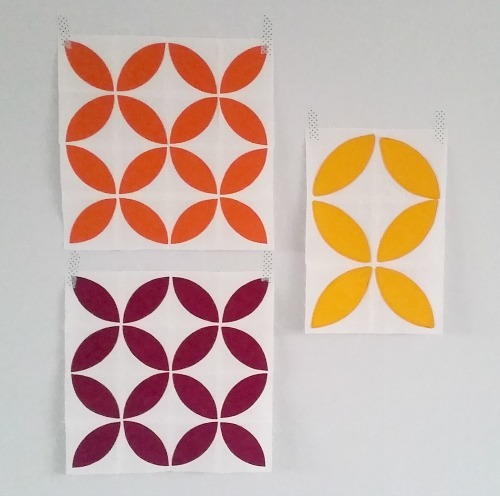 For both blocks that utilized the smaller Orange Peel templates, I used fusible adhesive. I don't have any tutorials to point to since I love fusible for sketchy applique and have used it a bunch! This method is definitely faster and everything is nice and sharp because the peels are simply cut out and fused. 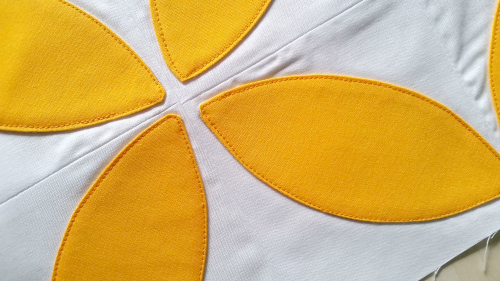 A lot of people don't like the look of this type of fused applique because they think it looks "unfinished" but I adore it actually! New X-Plus English Paper Piecing Templates!